Home > Our School > News > General > All invited to Holy Name Advent Mass! All invited to Holy Name Advent Mass! 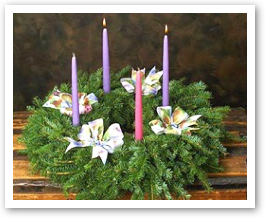 Holy Name celebrates our Advent Eucharistic mass led by Father John of Sacred Heart Parish on Thursday, December 13 at 9:30 am in our school gym. Let us come together in prayer and rejoice in the coming of our Saviour Jesus Christ. We would like to thank our Liturgical choir led by Ms. Battaglia and Mr. Harrington, Ms. Cristello’s grade 3’s, as well as Ms. Petrilli’s grade 7 for their hard work and preparation. Please join us. Next Story Next post: Luke 4:18 – Shoebox Project is a Huge Success…Thank you!